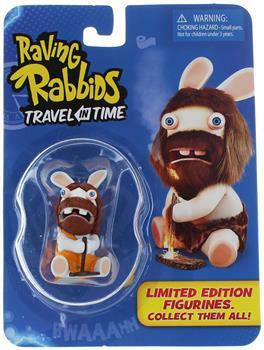 From the video game Raving Rabbids: Travel in Time comes all your favorite Rabbids wearing wacky historic costumes. Rabbid mini figures in this collection include Pirate, Cowboy, Egyptian, Caveman, Gladiator, and Viking (each sold separately). Each figure stands approximately 2.5 inches tall. Blister carded. Collect them all!